Cut from a darling cloth. Privacy Please dress. Raye heels. Wanderlust + Co earrings (similar here). 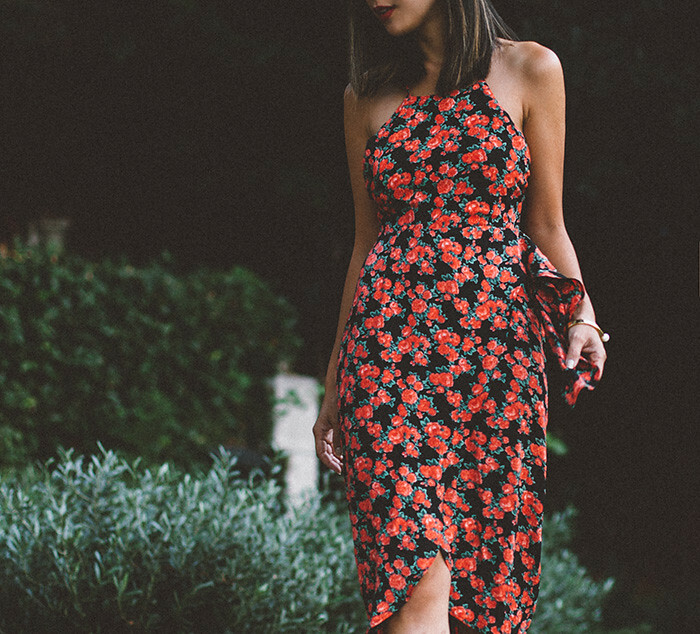 A good floral dress is very necessary in a girl's arsenal. 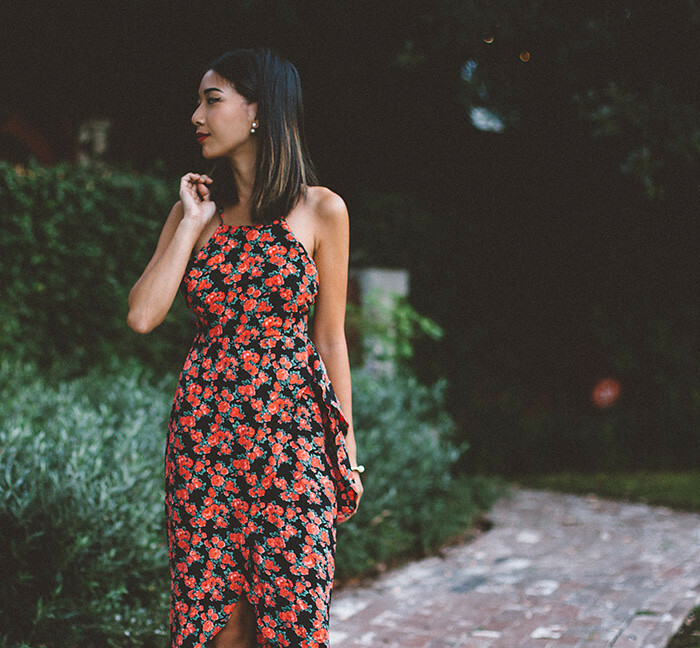 This one from Privacy Please, a vintage-inspired sister brand to Lovers + Friends, is sweet and versatile for casual times when you want to look cute for errands or when you're going for a night out with new friends. It says "I'm a chill girl, but I'm always up for a fun time." How you styled this is perfection. I'm in love! !